Gyros made easy and lighter with turkey! You are going to love these turkey gyros. 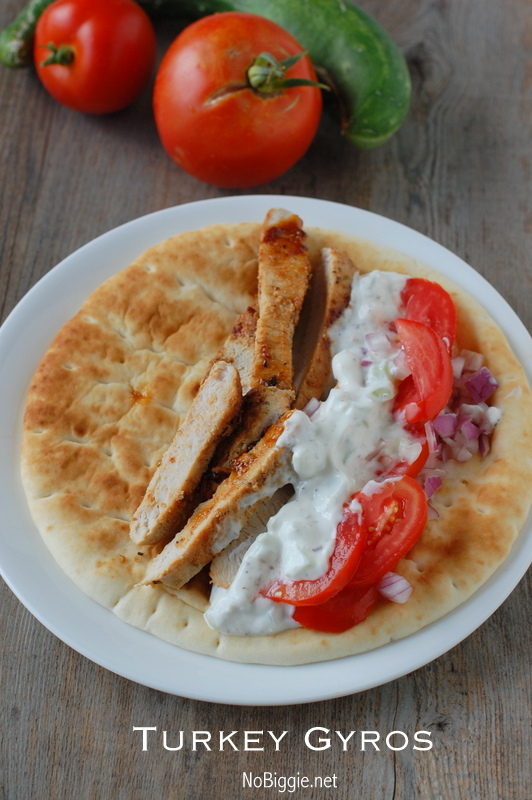 I’ve teamed up with Butterball for this week’s recipe: Turkey Gyros! 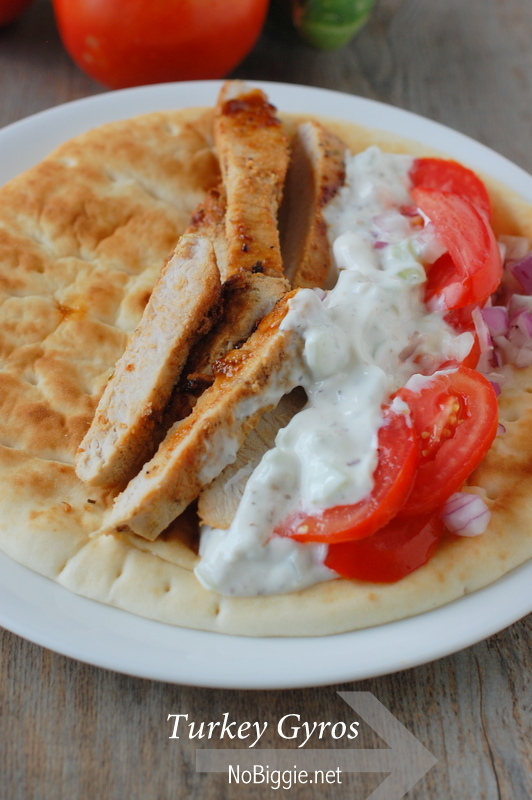 I love to eat a good gyro when I’m out, but did you know it’s pretty easy to make them at home? 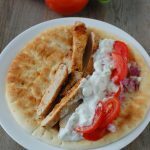 This recipe has everything you love about gyros including turkey which is always a leaner option. 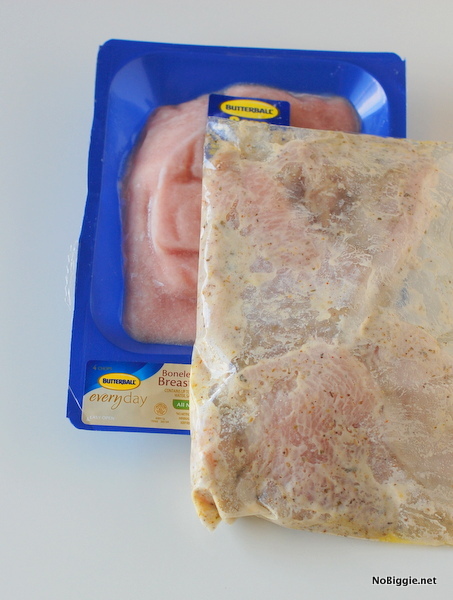 To start, I marinated Butterball turkey breast cuts in a delicious gyro marinade overnight. 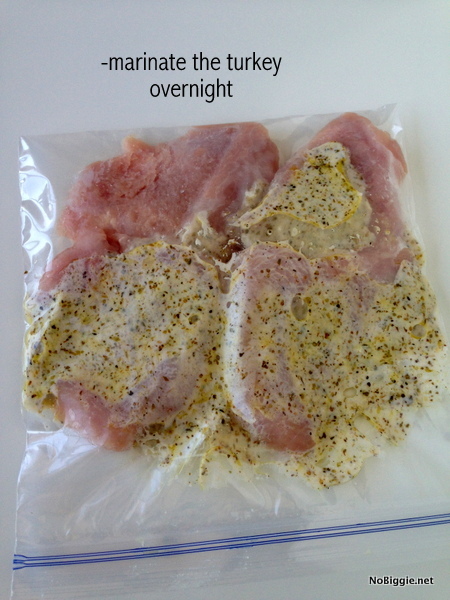 If you don’t have the time to marinate over night, 4 hours in the fridge will work also. In a large non stick skillet, cook the turkey on medium high to release most the moisture of the marinade and cook the turkey. The turkey will be fully cooked when it starts to brown in the pan. Have all the ingredients ready to go to start assembly. 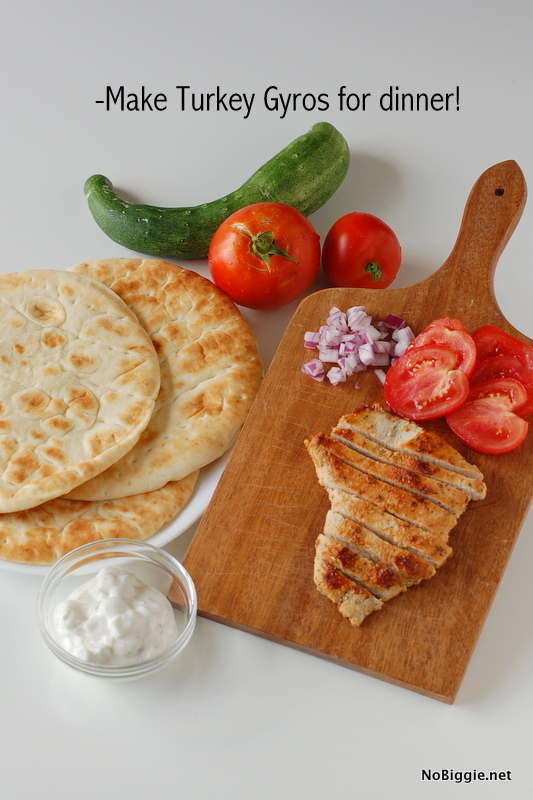 You’ll need the cooked turkey, diced red onion, sliced fresh garden tomatoes, greek style pita bread and the Tzatziki Sauce. Stir marinade ingredients together; cover the turkey for at least 4 hours in the fridge, or preferably overnight. 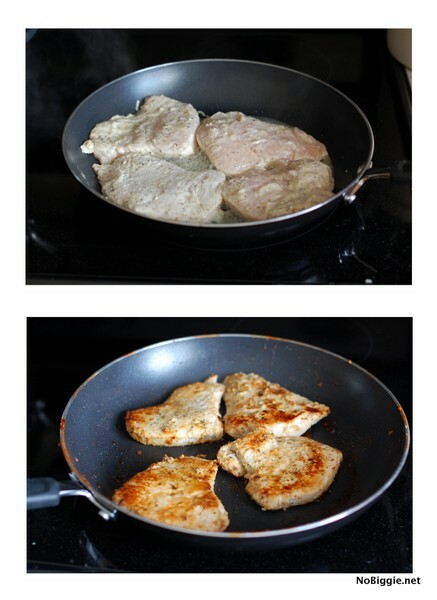 Cook turkey in a skillet on medium heat for 7-10 minutes or until done. Warm pitas in the microwave. Fill the warm pitas with the cooked sliced turkey. Top with turkey, tzatziki sauce, diced tomatoes and onions. That’s it! I hope you make it! They’re delicious! For more great Turkey recipes, visit Butterball.com. *Disclaimer: I’m currently working with Butterball and was compensated for this post. However, as always all opinions are completely my own. I’m thrilled to be working with them. Yum Yum. I want some now! These look so incredibly good. Seriously, I want then NOW.